Any person wishing to get married in the Commonwealth of Virginia must obtain a marriage license. Every license for a marriage shall be issued by the Clerk or Deputy Clerk of a circuit court of any county or city. If neither the Clerk nor his/her Deputy is able to issue the license, it may be issued by the Judge of the Circuit Court of such county or city. By statute, a marriage license is an essential prerequisite to the lawful solemnization of the marriage. After obtaining the license, the couple to be legally married must go before someone officially authorized to perform religious or civil marriage ceremonies. After the ceremony is performed, the person performing the marriage has certain legal duties in completing the marriage license and returning it to the issuing Clerk, who, in turn has the legal responsibilities as to recording the license and providing a copy to the Registrar of Vital Statistics. Note: Incompetency is a legal determination and no medical evidence is required. If either male or female is under age sixteen (16), a license can be issued by the Clerk of the Circuit Court, or the court, wherein the female resides, if the female is pregnant, or has been pregnant within the past nine months if verified by a doctor&apos;s certificate and if the consent of a parent or guardian is given. Va. Code § 20-48. 1. A marriage license can be obtained at any Circuit Court regardless of ones county or city of residence. 2. To obtain a license in Chesapeake, both parties must appear in the Circuit Court Clerk&apos;s Office, 307 Albemarle Dr., Suite 300A, located in the Municipal Center in Great Bridge, between the hours of 8:00 a.m - 4:00 p.m. Monday through Friday. The phone number for the Chesapeake Clerk&apos;s Office is 382-3000. 3. The fee for the license is $30.00 (cash only). 4. Waiting period, blood test, witnesses, divorce papers or death certificate is not necessary. 5. The license must be used within 60 days of issue in the state of Virginia. 6. Parental or Legal Guardian&apos;s consent to marriage is required if a person is 16 or 17 years of age. No consent is necessary for ages 18 and above. 7. 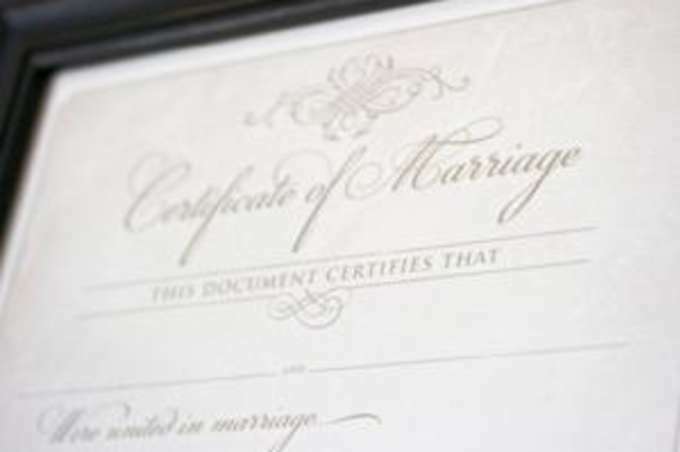 Certified copies of marriage license are $2.50 and may be obtained from the Clerk&apos;s Office in the Circuit Court. includes "Petition to Perform One-Time Civil Marriage Ceremony"